Meet Frankenweenie, the lovable, undead dog. 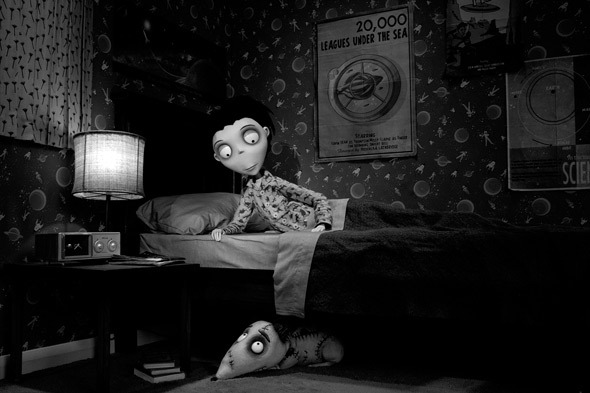 Disney recently released another new high res image today from Tim Burton's Frankenweenie, his new B&W 3D stop-motion animated feature, based on his own animated short from 1984. This isn't our first look, as we got a batch of photos in October earlier this year, but we've got one new high res photo from the movie itself, and two new behind-the-scenes photos as well. There's tons of cool stuff to notice in Victor's bedroom, like his space wallpaper, 20,000 Leagues Under the Sea poster, and science poster showing planets orbiting around Earth in the middle. Check ’em out below! The voice cast for Disney's Frankenweenie — which is being shot in both black & white and 3D — includes Winona Ryder, Catherine O'Hara, Martin Short, Tom Kenny and Martin Landau, all in various (and sometimes multiple) roles. Thanks to HeyUGuys and ShockTillYouDrop for these newest photos below. When young Victor's (voiced by Charlie Tahan) pet dog Sparky (who stars in Victor's home-made monster movies) is hit by a car, Victor decides to bring him back to life the only way he knows how. But when the bolt-necked "monster" wreaks havoc and terror in the hearts of Victor's neighbors, he has to convince them (and his parents) that despite his appearance, Sparky's still the good loyal friend he's always been. 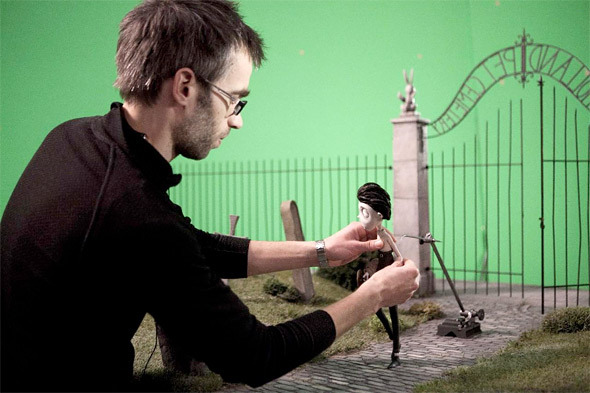 Frankenweenie was directed by mastermind Tim Burton, who's brought us Beetlejuice, Batman, Edward Scissorhands, Ed Wood, Big Fish, Corpse Bride, Sweeney Todd and The Nightmare Before Christmas previously. The screenplay was written by John August (Go, Big Fish, Charlie and the Chocolate Factory, Corpse Bride, The Nines) from a story by Tim Burton & Leonard Ripps. Disney is bringing Frankenweenie to theaters everywhere in 3D starting on October 5th, 2012 late next year. Stay tuned for more updates! Nope, Burton and Selick haven't been working together since James and the Giant Peach. Selick directs his own films, and so does Burton. 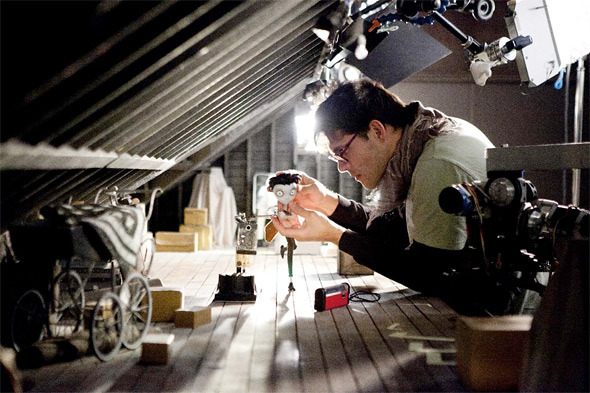 Selick is currently working on some projects with Laika. Aw, man...I am outta of the loop! I'll be happy to fill you in! We're putting new coversheets on all the TPS reports before they go out now. So if you could go ahead and try to remember to do that from now on, that'd be great. No...In fact, look I'm gonna have to ask you to go ahead and come back another time, I gotta a meeting with the Bobs in a couple of minutes. No Johnny Depp you surprise me Burton.